Yesterday in a wedding party, I was talking to some people. While talking, I got astonished to see how many people do not know about the swimming benefits. So, I thought I should share some the reasons on why swimming is one of the best workouts available. You want to workout and you won’t sweat a bit that is impossible. But swimming has made it possible. Before swimming I tried out biking and it caused a lot of sweating every time I got of the bike. Now, I can work out without getting irritated. It has been proved scientifically that swimming plays an important role in reducing body weight. 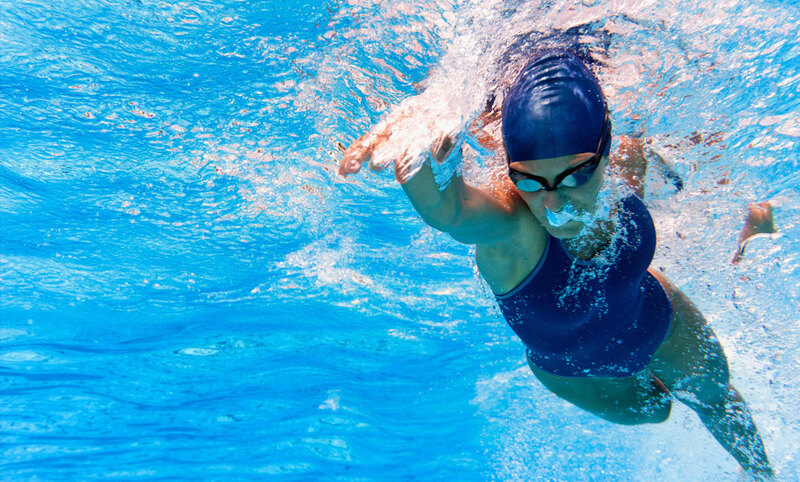 Swimming burns around 80 calories in 10 minutes. Many experts suggest that daily 10 minutes of swimming will help in weight loss. 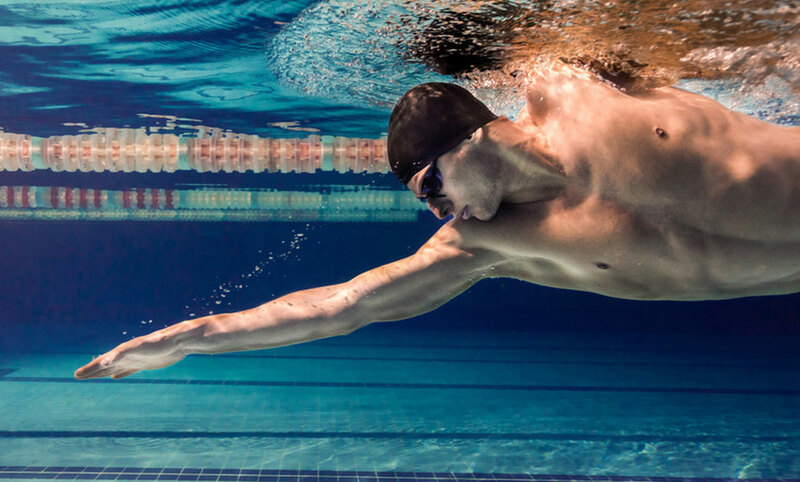 Swimming is the only exercise in which you get to use all of your body muscles. Most of the exercises either use the upper body muscles or the lower body muscles. But swimming solved this problem. Swimming also helps in creating thin muscles which is great for your body. The repeated movement of hands, legs, chest, head, abs, and neck causes you construct thin muscles. So, you can try out swimming instead of enrolling yourself into a gym. Swimming is great for your heart. Other cardio exercises are boring and create sweat. But swimming here is a great relief. In swimming you have to keep your body above water while propelling. This increases your heart rate without creating stress. Did you ever get a bad cough? Well I have asthma and during winter it is really difficult to breathe when the problem begins. In swimming you have to hold your breath. At the same time, you have to propel forward. This seems to be a great exercise for your lungs. The humid air of the pool area is a plus point (Humid air is relieving for asthma). It has been scientifically proven that swimming helps us in lifting the mood up. Everyday I go to swimming with different thoughts buzzing my head. Once I’m done with swimming I get a happy feeling. This boosts my mood for the whole day. We all have issues in our life. Some suffer from depression, anxiety, stress etc. Swimming can help in coping with these things. Sleep deprivation has been like an epidemic throughout recent years. Young generation are suffering from this. Sleep is important for our body and mind. Have you ever been in water? If yes then you know how tiring it is to be in water. Also, researchers have found a positive relationship of swimming and sleep. And so, Swimming causes good sleep. Swimming is good for bones. Bone gets decayed with age. Women start having arthritis and osteoporosis. Swimming reduces the rate of bone decay. Also, it adds some relief to people suffering from arthritis. While you swim, your whole body works in a harmony. During the swim we use all of our limbs to propel forward. This helps to increase flexibility. On the other hand, for swimming we need to coordinate among hands, legs and breathing. Thus, we get enhanced body balance. During pregnancy, it is advised that mothers should do some exercises. But because of safety of the baby, mothers hesitate to do so. Well swimming once again comes to the rescue. There are low chances of getting injured while being in water. A little swimming would be great for the mother and the baby. However, if the mother has complications then it would be best to swim after consulting with her doctor. There are different types of swimming. Freestyle, Backstroke, Butterfly, Breaststroke are some of the common types. You can try out different types in case you get bored. Not everyone is comfortable with the same type. Find out what suits you best and then enjoy. All these benefits within a workout is truly amazing. No other workout gives so many benefits as swimming. Without a systematic way swimming can be hard. You can’t just jump into a pool out of nowhere and swim for hours. You will get injured. Some of the common injuries are Swimmer’s shoulder, Breaststroke knee, Neck injuries, and Lower back injuries. Also, working out in the water is hard too. Water is 800 times denser than air. So, you will get tired easily. If you swim even after getting tired you might get into some problems. So, you shouldn’t jump into the pool with out a warm up. Also, you need to cool down a bit after swimming. You must keep hydrated. No need to think that you won’t dehydrated because you are in water. Most importantly follow a general rule. Make your workout easier with necessary gears and protective outfits. Moreover set your swimming belongings in an organized way. Visit here to get more ideas on various types of swimming related fashions that can encourage you to go to swimming more. Some of the best swimming drills are: Kick Drills, Breaststroke and Butterfly Drills, Water running, Leg and Core Toners, Water Crunchers. There are loads of articles and YouTube videos about them in the internet. You can know more about these from there. You cannot simply deny swimming even after it has blessed us with so many benefits. If you know swimming then try to swim regularly. You will see changes in no time. If you don’t then start learning and enjoy the blessing. Happy Swimming.